Our 100% online Job Stress Prevention course helps employers provide workplace Health and Safety Program training, and can be taken as an Initial or annual Refresher course. Training topics include: Definition and Causes of Job Stress, Work Roles, Stressful Job Conditions, Early Warning Signs, Diseases and Disorders, Reducing Stress, Stress Prevention, and Interventions. Job stress can create high risk for occupational accidents and injuries, increasing the need to incorporate Job Stress Prevention training in an Employer’s overall Health and Safety program for employees. Our Online Job Stress Prevention Training was designed to assist employers in improving worker safety and health in the workplace. The training will cover topics related to Job Stress Prevention such as: Definition and Causes of Stress in the Workplace, Stressful Job Conditions, Work Roles, Early Warning Signs of Workplace Stress, Diseases and Disorders, Reducing Stress, Stress Prevention, and Interventions. The training can be used as an Initial course or an annual refresher. The course includes up-to-date, high quality training designed with your learning as our top priority. The course is available 24/7 and features interactive training, which combines audio and visual elements for maximum retention. The course is completed entirely online through our state-of-the-art Online Training System (OTS) using a computer with an internet connection. We are so certain you will be satisfied with your experience, that we offer a 100% Money Back Guarantee*. The course, including the final exam, should take approximately one hour to complete. This human resource job stress prevention course should be used as part of an overall Health and Safety Program provided by employers. You must be trained by your employer on all the policies and procedures, hazards, equipment, engineering and administrative controls, safe work practices and emergency plans specific to your role and workplace. The objective of this course is to assist employers with their overall Health and Safety Program for employees, and to help improve worker safety and health through education on job stress reduction. In our Online Training System (OTS), this course consists of 1 fully narrated section. What is job stress? | Causes of job stress | Job stress and health | Stress management | Organizational change | Developing a stress prevention program. NIOSH has a publication regarding work stress that can be viewed online. It includes information on: What is job stress? 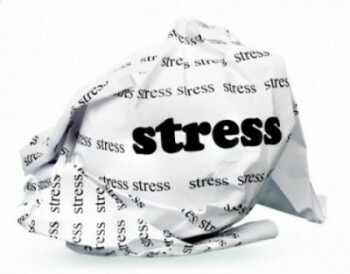 ; Causes of stress at work; Health effects of stress; Job stress prevention; and more.